Although The New Saints has featured in a couple of games so far this season, this was the first one open to the public. With our opponents, Cefn Druids, also in preparation for an upcoming European campaign, there was an element of competitiveness to the friendly game. Players were looking to impress their respective managers and certainly at TNS we have such a strong squad, so any game time is going to be taken advantage of by members of our squad. It was good to welcome BBC Cymru to Park Hall as Aled and Tom filmed highlights of the game and around it as well, including an interview with our fluent Welsh speaker, Aeron Edwards. I really enjoy facilitating this sort of thing and watching it all come together. 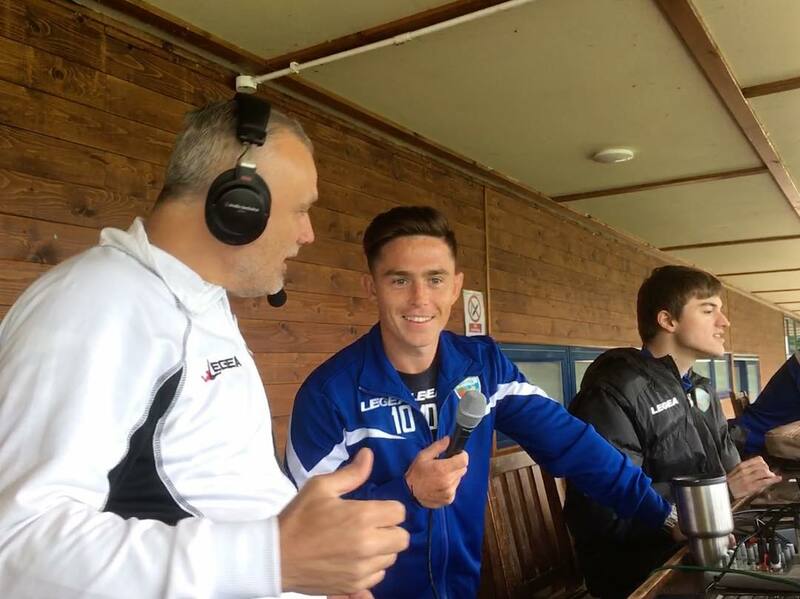 TNS Radio made its debut as well for the season as we brought commentary from the game, that ended 1-0 to The New Saints. The aforementioned Aeron scored the only goal of the game in the 73rd minute, a well-taken shot that was all that separated the sides come the final whistle. We had numerous guests on air with us, from fans, to our chairman and players not involved in the game. The latter included one of our new signings, Danny Redmond. That’s him in the lead image. Following the game, as well as the usual tasks there were the post-match interviews and you can watch those below, embedded from TNS TV. That’s another thing I enjoy doing very much. 2018/2019: 6 games. 3 new grounds.